Holiday gift-giving is part of the seasonal joy people embrace during their favorite festive times. But it can also be a source of angst for families experiencing economic difficulties. Left unchecked, holiday spending easily exceeds established budgets, creating cost-over-runs carried well into subsequent years. If holiday extravagance is within your means, don’t fret strict gift-giving budgets, but if your gift list is longer than your bank ledger, express your holiday spirit in affordable ways – without sacrificing a festive touch. A Payday Loan could help ensure you are able to spoil those you love even when savings are low, just check the rates beforehand. Proper pre-holiday planning includes a close look at your gift-giving requirements. Identifying the people on your holiday list and their gift preferences allows you to budget for each purchase. 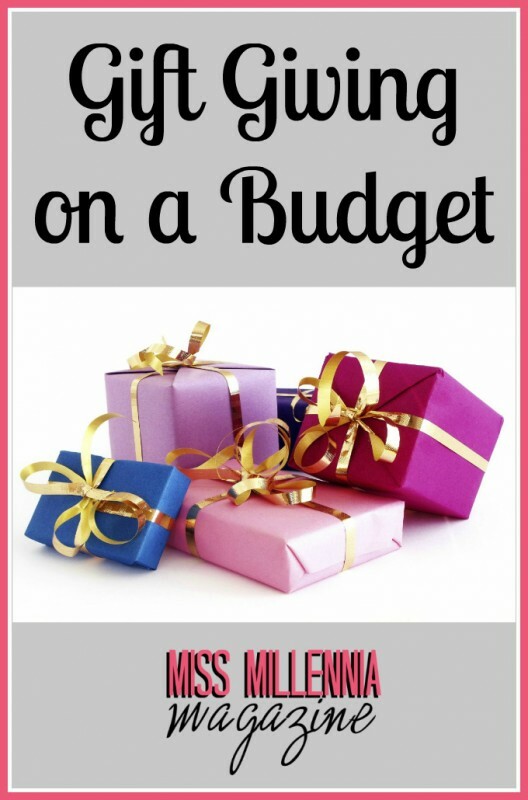 Once you’ve outlined the big picture, it is easier to devise a budget for holiday cheer. The total tally might surprise you, so make it your mission to trim costs where you can. Money saved in one area can be applied to other gifts or used for incidental holiday expenses – as long as you stay within budget parameters. Tracking holiday bargains is a full time job for bloggers and other consumer watchdogs. If you’re in the market for particular, popular items, it is easy to track price trends online. Availability is also a consideration when weighing the best times to jump-in with purchases. Securing your place in line with early buys doesn’t always yield the best rate, but it ensures timely delivery of gifts. In many cases though, early birds are rewarded with incentives of saving cash on holiday buys. Gift cards, for instance are sold by resellers at discounted rates. Buying them last-minute, at the stores issuing them, doesn’t take advantage of the bonuses earned by planning ahead for gift-car purchases. Pre-sales also present opportunities for saving on gifts. Books and other timely releases can be reserved ahead of official on-sale dates, sometimes with considerable discounts attached. Gifts with personal touches mean a lot to the people who get them, but there is another reason to make some of your holiday gifts this year: Savings. Food is a holiday focal point, driving gift-givers to share their latest creations. Cookies, candies, and other holiday treats make perfect gifts for friends and co-workers, as well as round out your own holiday food offers. Snacks, fudge, and roasted nuts are also easy to make while still making delightful holiday favors with little expense. Metallic ribbon and raffia ties finish-off food gifts when wrapped in cellophane bags or decorative sacks. Good cheer includes tasty drinks, which can also be made at home to be given as gifts. Scratch recipes for internationally flavored cordials and after dinner drinks, yield surprising replicas appreciated by recipients who in turn spread good cheer by sharing nips with friends. Commercial flavorings, which mimic the tastes of popular liqueurs, are also available. Mixing them with neutral spirits produces quick gift-giving treats. Since authentic versions are very costly, the substitutes provide worthy stand-ins for a fraction of the cost of name brands. Vintage bottles, which can be found at thrift sales, furnish perfect gift-giving vessels for your handcrafted beverages. You could also simply reuse commercial spirits containers for authenticity all round. Artistic linens, weavings, crocheted items, quilts and other handmade home furnishings find their way into holiday gift-giving circles, providing additional ways to shine with self-inspired offerings. Practical knitted pieces, like gloves and scarves, provide winter-long reminders of their makers, adding special meaning for users. Gift-giving artistry knows no bounds with options such as expressing talents in photography, writing, craftwork and sewing. By subtracting the cash value of seasonal gifts, your giving experience is fulfilling without the lingering debt of excessive consumerism. Even if traditional store-bought gifts are on your holiday giving list, consider including a small homespun item to personalize each gift.